The Diocese of Miao Congratulates Rev. Srs. Domnica, Pauline and Theresita MSMHC on their Silver Jubilee. The Jubilee the three Sisters was celebrated by their respective community members on different dates in the month of October and November. As we celebrate their 25 years of faithful ‘YES’ to the Lord, we also would like to express our sincere gratitude for their selfless contribution to the Diocese of Miao. 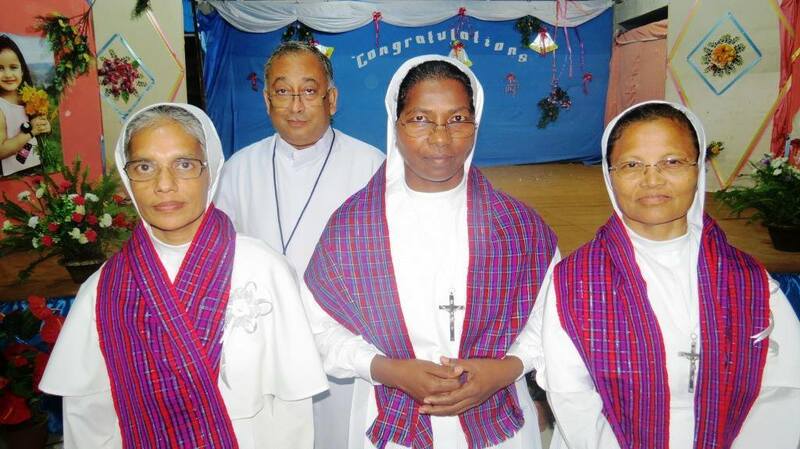 Sr. Dominica Barla belongs to the St. Mary’s Community in Miao, Sr. Pauline Narzary is places in Deomali MSMHC Community and Sr. Theresita Paul is working in Mahadevpur MSMHC community.